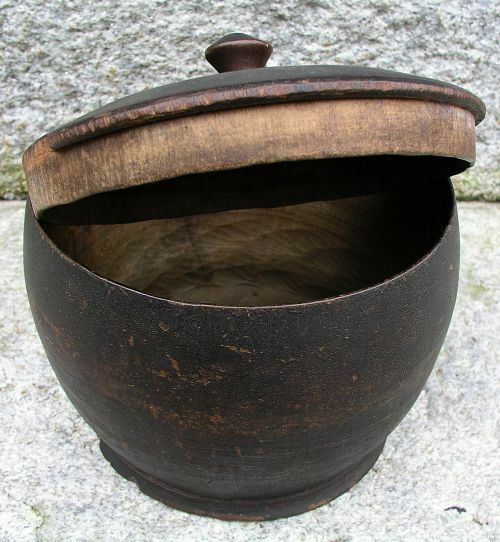 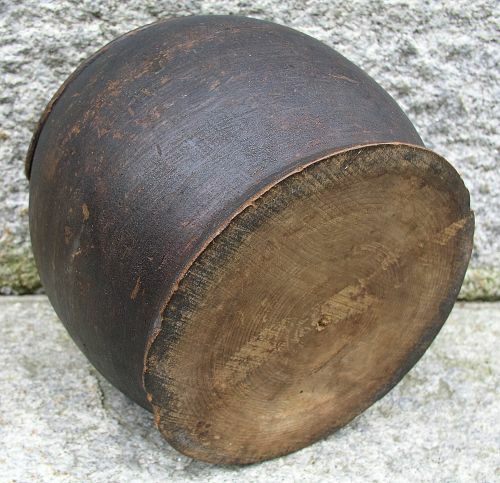 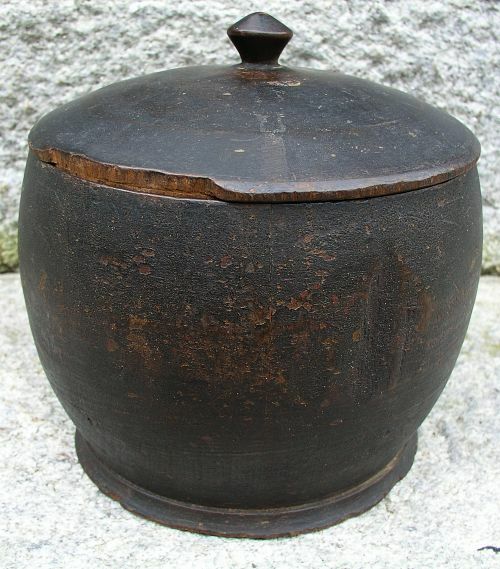 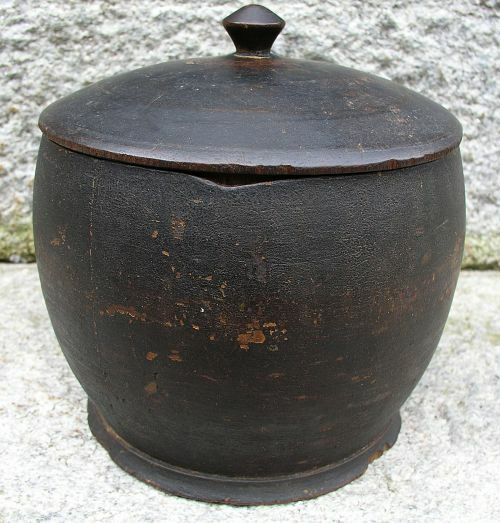 Large early covered turned wooden Peaseware container with fantastic old crusty dark painted surface. 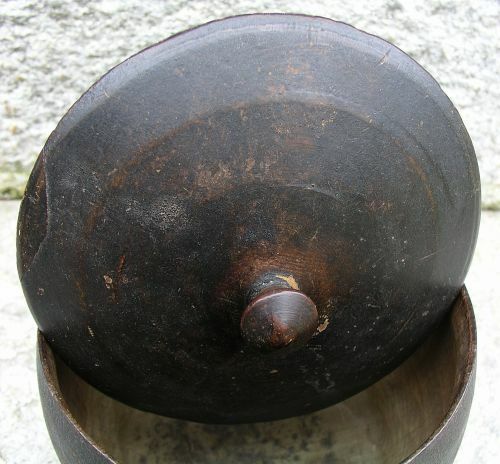 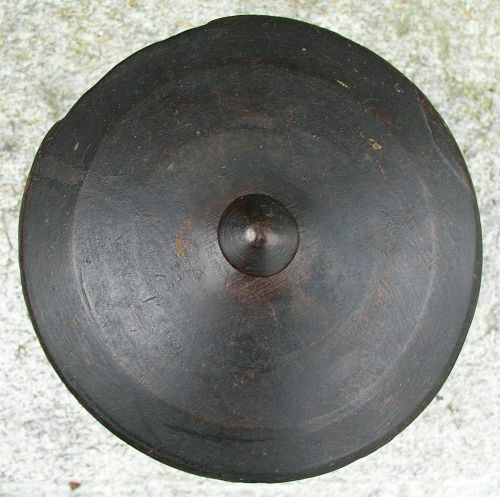 Has three old repaired tight age lines along with losses along top edge of lid and minor chips to the base. 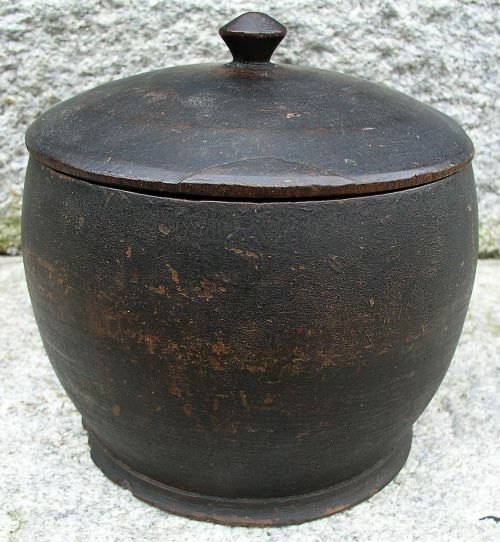 Dimensions: Measures overall 7" wide through the center X 7" tall.